Visit the Online Store or click HERE to be directed to the payment section before adding a new job posting. You will receive an email confirmation upon payment that will include a link that will direct you to add/edit/manage your job posting. 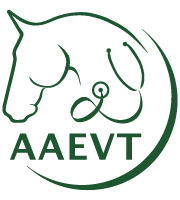 Membership in the AAEVT is $60 for Regular members and $100 for Clinics. You could save money and receive many additional benefits by becoming an AAEVT Member and be able to post an unlimited number of job opportunities as a part of your membership!